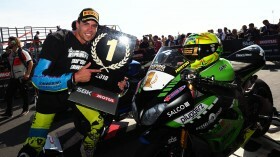 Dutch sensation to mix it with the very best World Supersport riders on the world stage in 2019. 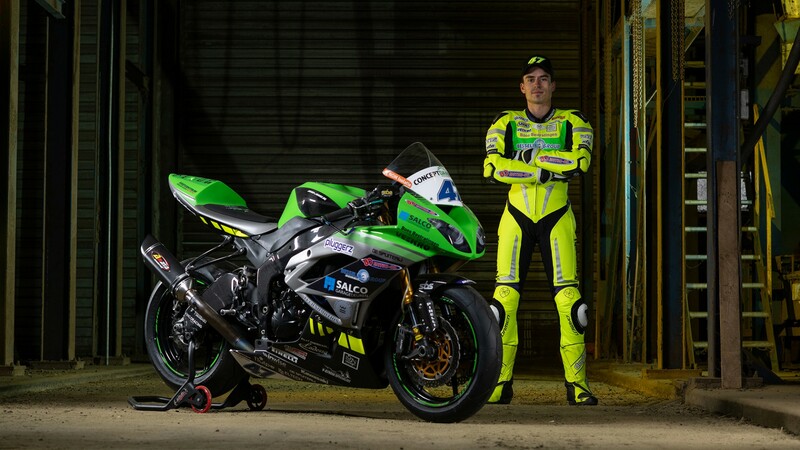 Reigning European Supersport Cup Champion Rob Hartog will graduate to the FIM World Supersport Championship in 2019. The 26-year-old Dutchman is remaining as a privateer but participating in all the championship´s rounds, across ten countries, four continents and 12 of the best circuits in the world. Team Hartog – Against Cancer are proud to make the step to the World Championship, with Rob looking to take his European Supersport Cup race-winning pedigree into the main World Supersport championship, to go in quest of returning the Dutch to the forefront of Supersport action. Rob Hartog enjoyed a sensational season in 2018, frequently finishing as the top ESS rider in many races, taking 18th in the championship overall and placing ahead of seasoned veterans in the class. A best finish of 8th at home at the TT Circuit Assen was a stand-out performance, after an epic scrap with Nikki Tuuli for 7th place. These results all meant that he secured the championship at Magny Cours in October, to become 2018 ESS champion. The Netherlands have a great history in WorldSSP, with the likes of Michael van der Mark giving the nation the championship in 2014 for Dutch team Ten Kate Racing, whilst Barry Veneman was also a top Dutch rider, taking numerous top results, including one podium at Magny Cours in 2008. Jurgen van den Goordbergh finished 3rd in the championship back in 2003 and again in 2004 and before that, Wilco Zeelenberg took three podiums in his time in the championship during the 1990s (two of which were victories). 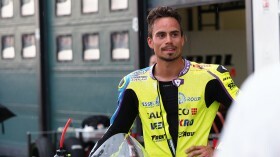 Speaking ahead of the season´s curtain-raising event at Phillip Island, the Dutchman spoke proudly of the achievement to take his privateer outfit to the world stage and set out his objectives for the forthcoming season. "Team Hartog are very proud that we can announce this World Championship start. It is a dream come true - not only for me but also for the rest of the crew. For years we have worked hard to realise this situation, and the fact that it has finally arrived is fantastic! So many people have pledged their support in the crowdfunding campaign, and many loyal sponsors have taken a step up to help even more. ¨Also, we have had to the opportunity to welcome new partners to our team. We are very grateful to everyone for this! We are not quite there yet and will, therefore, continue to work hard in the coming months, but we have every confidence that we will eventually be able to complete the job we started. ¨The team are all one hundred per cent behind getting a good result, and we are looking forward to starting at Phillip Island in February! It is a busy period now because the season starts about two months earlier for us than in recent years. The crew, consisting of Technomotion, 2wielerservice Groenenberg, Rob Leek, Jan Visser and Gerard Kollis are therefore hard at work to prepare everything in time for the first race of 2019¨, said an enthusiastic Hartog, looking to join what is a very strong Dutch contingency in the championship, with no less than three Dutch riders taking to the World Supersport grid. Hartog continued: ¨I am confident that we will start with a strong package in the coming season and that we will be able to take another step compared to 2018. Last year, I was eighth in Assen. This year I want to improve again and score a top-five finish. Overall our goal is to have a top-ten position in the World Championship. We're going for it!" You can see how Hartog gets on in his debut WorldSSP campaign by watching on our VideoPass!